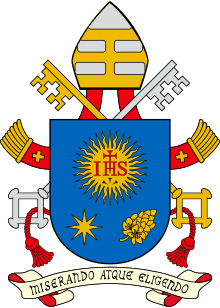 This article is about sovereigns of Vatican City State since its creation. 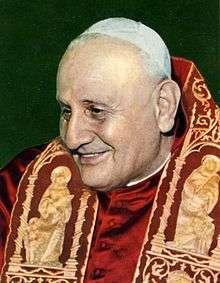 For a list of popes since the 1st Century, see List of popes. 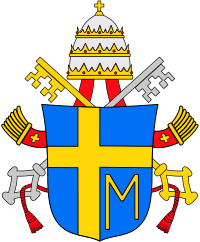 There have been eight sovereigns of Vatican City State since its establishment by the Lateran Treaty of 1929. 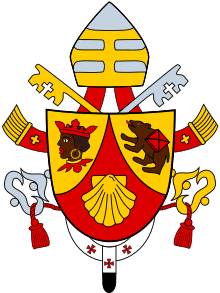 The position as head of state of Vatican City is an ex officio role of the pope. 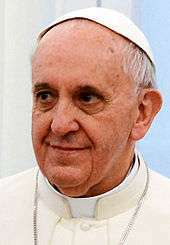 The current sovereign, since his election on 13 March 2013, is Pope Francis. 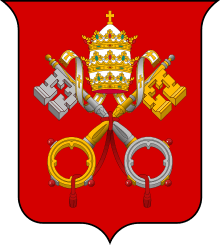 Like the bishops of many other cities in the disintegrating Roman Empire, the bishops of Rome came to exercise duties of civil administration in place of the ineffective imperial government. 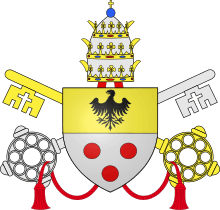 They became in practice the civil rulers, subordinate to the emperor, of the area around Rome referred to as the duchy of Rome. 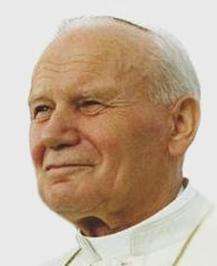 The Donation of Pepin in 756 made the popes for the first time rulers in their own right of the territories that came to be known as the Papal States. These lands were taken by Napoleon but recovered at the successive Congress of Vienna. They were definitively lost when, on 20 September 1870, Victor Emmanuel II's troops captured Rome, which was later declared the new capital of a unified Kingdom of Italy. Pope Pius IX and his successors disputed the legitimacy of the annexation of the Papal States and, refusing to put themselves under the protection of the new civil authorities, remained "prisoners in the Vatican". 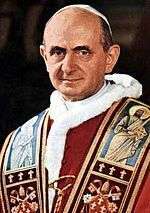 Having lost secular power, the popes focused on spiritual issues. 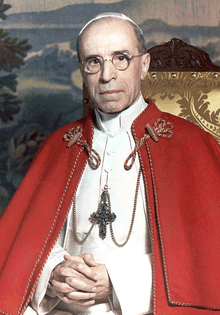 This dispute, referred to as the Roman Question, continued until the Italian Government and the Holy See signed on 11 February 1929 the Lateran Treaty, which created the sovereign Vatican City State, with the pope as its ruler, making him ex officio the elected monarch, with absolute powers, of the newly created city-state. ↑ Wetterau, Bruce. World history. New York: Henry Holt & co. 1994.